Our trainers are here to assist you with quality training and we know from experience that you may require additional information. Here are some answers to questions that we have been asked before, but if you still need more information, please call us on 1300 886 338. Q) Can you deliver training on our site? A) Yes, we will deliver on-site training as long as it conforms with OH&S regulations and is conducive to learning. Q) How long will a training session go for? A) We recommend that a session be a minimum half-day (4 hours) and training can and will be tailored to suit your needs. 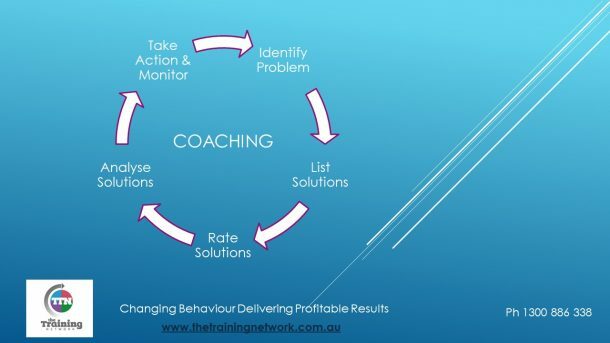 Research shows that training should be ongoing to ensure the success of the business and the individual. Q) Will trainers travel to all parts of Australia? A) Yes, we will travel interstate, and will consider the international delivery of training programs. Please contact us for further information. Q) Do your trainers have an understanding of the corporate environment? A) All of our trainers have worked for corporate organisations in various roles. Our trainers enjoy working with clients and continually building on their skills over time. Q) Can I train for a qualification? A) We can offer this training because our trainers hold a current Certificate IV in Training and Assessment (TAE 40110 qualification).